This young boy is eleven months old and about to take his first steps! He couldn’t look any cuter. 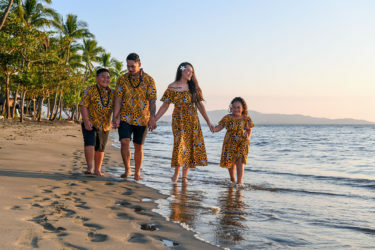 The family was dreaming of a Fijian white sand beach, with palm trees and clear-turquoise water. Plantation Island Resort was the perfect choice! We had a relaxing hour strolling along the beach, while taking life time memories.